A Christmas Story? Christmas Vacation? Scrooged? All memorable holiday films, but none of them can hold a candle, or a Zippo lighter, to the greatest Christmas movie of all time: Die Hard. 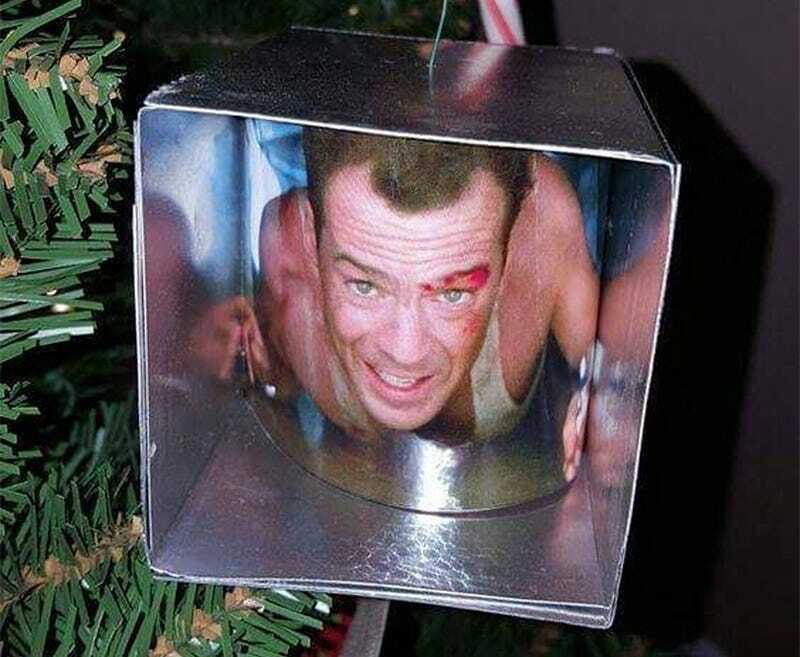 Which means that by default, this handmade ornament featuring John McClane crawling through a heating duct is also the best possible way to decorate your tree. Making one of these ornaments for your own tree looks incredibly easy. You just need some reflective silver card stock folded into a basic box, and a printed screenshot of the Die Hard scene where John McClane is climbing through the metal duct work. The trick to making the ornament look convincing is to curve the image of McClane so that it gets reflected by the insides of the miniature heating duct you’ve built. You can also try sticking a blinking Christmas light where the flame is coming off of his Zippo lighter, but that might be above and beyond the call of duty here.